Ram Charan Tej has received a surprise birthday gift from his in-laws. As Charan is very fond of prize horses, he was gifted a magnificent white horse by his father-in-law on the occasion of his birthday and Charan is said to have been delighted with the present. 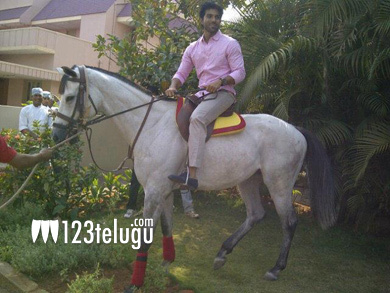 Charan’s love of horses is well known and he even owns a Polo team. Some say that his fascination for horses started after Magadheera, where he has performed some superb action sequences. Enjoy your gift Cherry.